Do You Know Your Hidden Passion Number? What can numerology tell you? 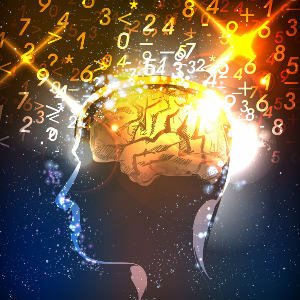 Although numerology boasts a long history, it is the work of Dr. Julia Seton, author L. Dow Balliett, and mystic Florence Campbell that are often credited for its popularity since the 20th century. Numerology — numbers between one and nine — can help you understand things like your life path, birthday meaning, personality traits, and hidden passions. It’s relatively easy to work these numbers out and gain a basic understanding of what they mean. Why not give it a go and figure out the number that reflects your hidden passion? To find your hidden passion number, you will first need to make a few notes. On a piece of paper, write the numbers one to nine from left to right. Move to the line underneath and start writing the letters of the alphabet below the first line of numbers, also moving from left to right. Write A to I on the first row, J to R on the second, and S to Z on the third and last row. When you finish, you should have four rows, including the first row of numbers. What’s Your Hidden Passion Number? With your numerology table written out, you are now able to convert the letters in your name to numbers. Always use your full name to calculate numerology results. Write down the number that corresponds to each letter in your name. John Doe will lead to a result of 1 6 8 5 - 4 6 5. Go ahead and do the same to work out which number or numbers appear most often for you. This is your hidden passion number. John Doe’s numbers are 5 and 6. You may discover that you too have more than one hidden passion. Now that you have calculated your hidden passion number, it’s time to take a look at what the numbers mean. #1 means you are a survivor, perhaps even a warrior. #2 indicates that you are a peacemaker. #3 shows that you’re a social butterfly. #4 means you have organizational skills. #5 represents versatility and impulsiveness. #6 places you in the healing category. #7 indicates that you are intuitive. #8 means that material rewards interest you. Consider speaking with an online psychic to learn more about what your number means for you. If you’re new to numerology, you’ll certainly be able to work out what your various numbers are and gain a high-level understanding of how they relate to your life, goals, and strengths. If you’d like to get more details about the practice, you may consider talking to a numerologist online. Many psychics are able to offer you this sort of help, although it’s worth seeking out someone who is particularly skilled in the various conclusions that numerology can offer. Why not play at working out your own numbers, before moving on to help from a professional numerologist? You may learn something new about yourself.